At Sixth City Marketing, we like to provide our team members with a variety of learning opportunities to help them grow as professionals. Through this, you can go on to master a combination of skills and tactics that they don’t teach you in school. And since we offer a diverse range of services, there is also the possibility to have some flexibility in your workload to give you the ability to change up your day-to-day tasks. To make our daily tasks a little bit easier, our office is notorious for doing little things to lighten to mood. So, whether it’s morning doughnuts, community cereal day, or even pranking some deserving co-workers, we’re ready to go the extra mile. Located in Rocky River, we are close to both 1-90 and I-480, just a mere 15 minutes west of downtown, making for an easy commute from anywhere in the Cleveland area. 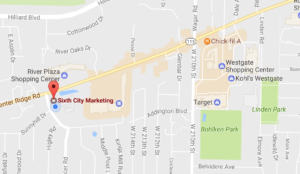 Our office is also conveniently located near plenty of great lunch options such as Chipotle, Zoup, Chick-fil-A, Moe’s, Panera, and many more. 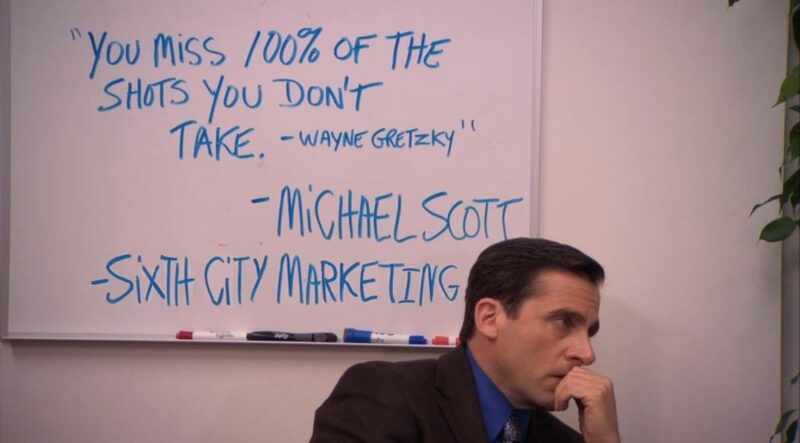 We asked some of our team members to write some honest reviews about working at Sixth City Marketing. I’ve been working at Sixth City since June 2016, and from my initial “greeting lunch” with the team, I knew I was going to love it here. We are always doing fun things around the office like pranking Steve or doing outside activities like leaving work a little early and going to happy hour. Everyone helps keep the atmosphere stress-free so it makes getting work done a lot easier. Plus, getting occasional visits from our office dogs and having lots of doughnuts and bagels on hand isn’t bad either. The emphasis on work-life balance at Sixth City sets this agency apart from others. There is a constructive environment here helping each individual to grow professionally, complemented by a fun energy and a laid-back culture. 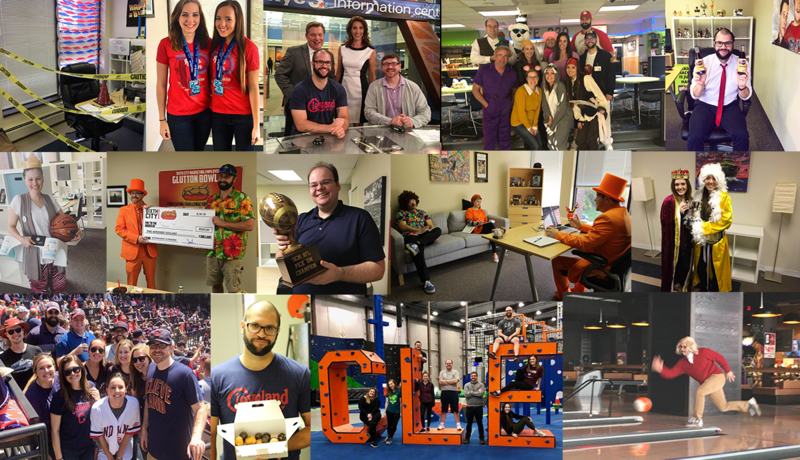 We work hard as a team to show our clients results, but have a lot of laughs at the office as well as outside the office during “mandatory” company Indians games and bowling competitions. Not to be cliché, but it really is the best of both worlds. We stand by the motto “work hard, play hard,” and we believe hard work should be rewarded regularly. Sound appealing? If you’d like to apply your skills in a rewarding environment, we’d love to have you. Check out our careers page to learn about open positions and how you can become a part of our team.